We all know our options when it comes to hair loss during cancer treatment. Or do we? This really helpful post from Anne of Roches in Dublin shares her wealth of knowledge in the area of brow and eyelash hair loss during chemo – and what you can do about it. Eyebrows and eyelash preservation during cancer treatment is a key area we are asked about all the time here at Roches. And rightly so – brows and lashes are crucially important to the definition of a face. We know that no matter how good your wig may be, if you lose your brows and lashes too during cancer treatment, you definitely notice the difference. In today’s post we answer some of the most commonly asked questions in this area. Here at Roches we believe less is more when it comes to brows and lashes. When dealing with chemo-induced loss of brows, you don’t want designer brows – you just want a natural look so people don’t notice that you don’t have any. Should I get my brows done before treatment starts? Instead, we suggest to use make-up to fill in your brows during treatment. We help you with the right products for you, we can show you how to fill them in (we provide free stencils) and you can adjust as needed during your treatment. Then, when your cancer treatment is over, we say if you still want the semi-permanent brows at that stage, or if your brows haven’t come back properly, then go for it. What types of semi-permanent brows do you recommend? If you feel adamant about getting your brows done before your cancer treatment starts, we would recommend either emBrowdery or PhiBrows as they are the most natural looking forms of semi-permanent eyebrow make-up, however you must check with your hospital and medical team first as some hospitals don’t allow these treatments for various reasons, the main one being the risk of infection just before chemotherapy. Phi Brows and emBrowdery are a less invasive form of semi-permanent eyebrow make-up than eyebrow microblading and more natural than tattooing which we would not recommend. We can do the patch test for either PhiBrows or emBrowdery here in our salon, but we do not provide the actual service just yet. We recommend Elaine and the girls in Up To My Eyes in Greystones for emBrowdery and Michelle Cullen for PhiBrows. How are semi-permanent brows done? With emBrowdery, fine strokes are plucked into the skin for a hair-like finish. PhiBrows microblade tiny realistic hair strokes into the skin and are best suited to very fine brows. 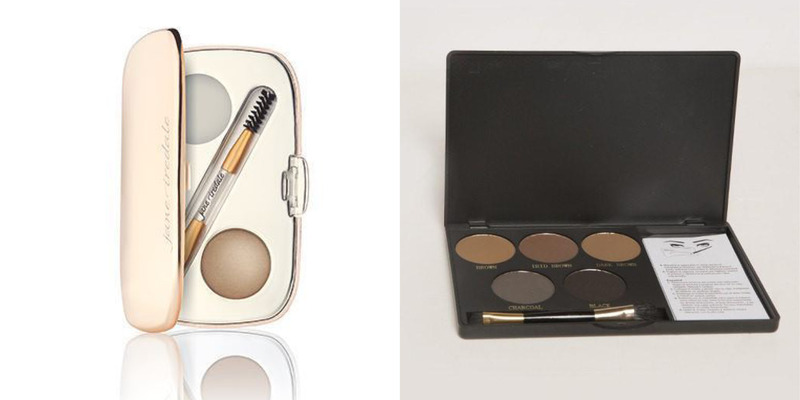 With both, the appearance is very natural and blends with or without hair along the brow bone. The pigment is chosen to match the natural hair or brow colour. Strokes are drawn in the direction of natural hair growth to achieve a natural looking brow. Your perfect brow is created over a number of weeks depending on the particular treatment you have chosen. With emBrowdery for example, at your first visit your perfect eyebrow shape is created and an initial layer of pigment used. You then go away for a few weeks and see how you like the shape. Then at your next appointment, your shape can be adjusted if needed before more pigment is added. emBrowdery usually needs three appointments over two months to complete your eyebrow and get it exactly right for you in terms of shape and shade. PhiBrows can be done quicker and usually needs just two visits with four weeks in-between, so this is the one more commonly done just before chemotherapy starts. It is important to note that when it comes to emBrowdery and PhiBrows, this is an art form and you will get the best result by going to someone who is highly recommended and has a lot of experience. Brow artists in training have to practice every night on leather for months and even years to perfect their technique. The more experienced the brow artist is, the better brow you will get. I don’t want to do semi-permanent eyebrows. What are the other options available for both brows and lashes? There are so many eyebrow and eyelash products on the market now that it is easy to get overwhelmed and not know where to start. We can help by advising products that suit your general lifestyle and make-up habits. Here at Roches we love the Jane Iredale line of cosmetics as they are a clean beauty brand. This is one of our top tips – if you are Irish or over 50 and filling in your brows during treatment, adding a little bit of grey will help to create an ash tone to the brow which looks very natural. I’m mid-way through treatment, have no brows and am full of hot flushes! I don’t want to wear make-up. What else can you do? If you don’t want to use make-up to fill in your brows, for example, if hot flushes have you feeling as though your make-up is just sliding off, we suggest having a fringe cut into your wig, which will sit just at your eyebrow level, creating an illusion of a brow. We also suggest buying an inexpensive pair of clear glasses or oversize sunglasses which can also help to create the false shape of a brow. You may not lose all your lashes – it is our experience that not all patients do lose all of their lashes, so you may be lucky. However. If you do find your eyelashes disappearing, we suggest using your Brow Kit for your lashes too. You can use the angled brush (a brush is always softer than a pencil) to create a bit of darkness around where your lashes would be on your eyelids to create an illusion that there are lashes there. Our other top tip is to ditch your old mascara before treatment starts (old mascaras are a hive for bacteria), buy a new one and use, use, use! Mascara will help fluff up the lashes you do have right up until you may only have one or two left and goes a long way to filling in gaps and creating the effect of lashes. Put mascara on the few little lashes that you do have (which you might not even be able to see!) and you will actually carry off the look. If you are having hot flushes, make sure you go for a waterproof mascara and a good quality eye make-up remover. We also recommend using a lash conditioner containing biotin. This will help preserve your lashes during treatment and will promote growth too. Jane Iredale has a lash extender and conditioner and it can also be used on brows. We do not recommend using false eyelashes during your cancer treatment. Your eyes are prone to infection even at the best of times, during chemotherapy you are at an even higher risk of infection and it’s best to avoid any risks. Eyelash glues can also be a hive for bacteria and for this reason, we would recommend staying away if you can. If you have a special occasion like a wedding for example and feel you simply must have some lashes, we would suggest going for the strip lashes and only applying them once or at most twice. These come pre-glued so you do not have to worry about glue and infection. Wigs, brows and lashes are all just too much for me. I prefer just wearing headwear but I do still feel bare. Can you help? Yes we can! If you opt just to wear headwear, there are still lots of things you can do to dress up your look and feel feminine. Firstly, we would say – do your make-up! It will really help you to feel better. Your face is a canvas, a beautiful painting waiting to be created. Like any good piece of art, start with a base layer and build it up. We sell fringes and hair pieces that can be added to headwear to give the illusion of hair underneath and to frame your face. We suggest accessorising your headwear with a scarf, headband, turban or hat, wearing earrings, and of course, your best asset, your smile! If you’ve been through the journey or are going through it yourself right now, we’d love to hear what you’re doing in the area of your brows and lashes. Please do let us know in the comments below – we’d love to learn from you. Our new workshop space is nearly finished here at Roches and we will be holding our own workshops on brows and lashes very soon. Make sure you Like our Facebook page to be the first to find out what’s happening. We’re also running a giveaway over on our Facebook and Instagram at the moment to win one of the eyebrow kits featured in this post. If you’d like to enter, head over to either page, Like/Follow our page and let us know in the comments on the eyebrow post which kit you’d like to win. The winner will be announced next Friday on the Roches Facebook page. Competition open to Ireland only. Thank you so much to Anne for letting us re-publish this post here on Happy Magazine. For more information about Roches, visit their website here.